The Adventures of Elf Mateo! 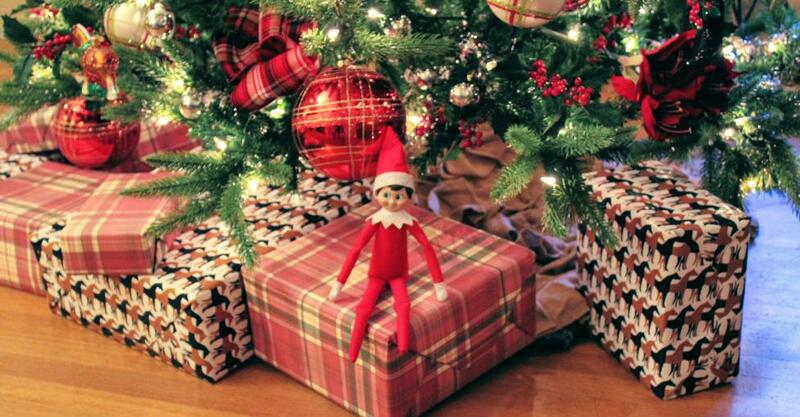 Have you ever wondered what elves do before the holiday season starts? 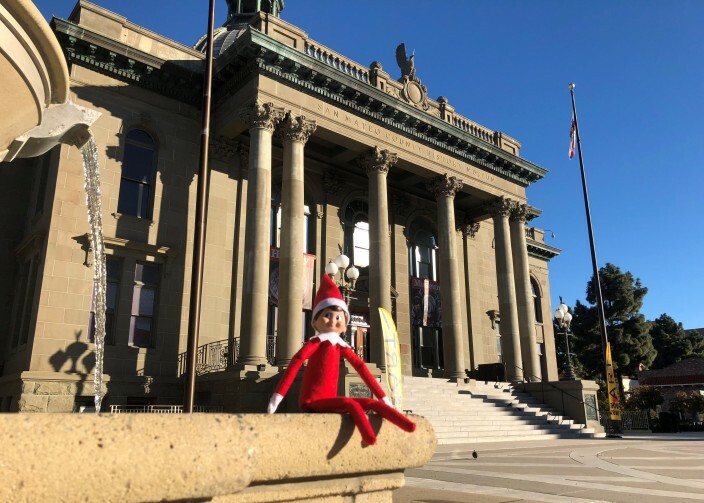 Well, our curious and adventurous Elf Mateo decided to take a trip around San Mateo County/Silicon Valley before reporting to Santa up at the North Pole. Elf Mateo took advantage of the great weather and visited some of the most beautiful places our destination has to offer! As some may know, Elf Mateo really enjoys learning about our county’s history. Therefore, his first stop was the San Mateo County History Museum, where he spent some time checking out the museum’s newest exhibits. 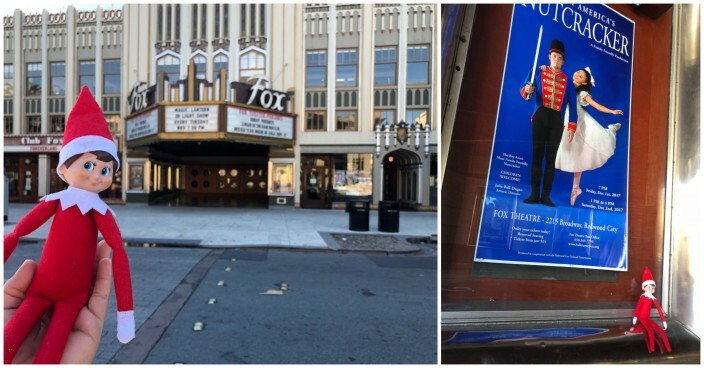 During his time in Redwood City, Elf Mateo also learned about the exciting Nutcracker play coming to the Fox Theatre on December 1st – so he may be visiting again very soon! 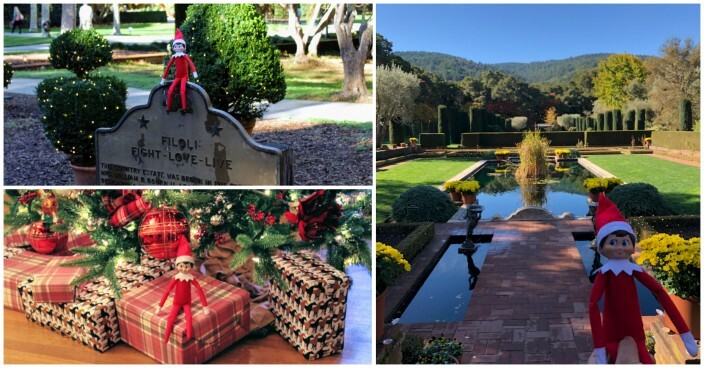 Elf Mateo had heard from one of his friends about a fun holiday event taking place over at Filoli in Woodside – so he decided to check it out. Mateo arrived to the most beautifully decorated mansion he had ever seen! 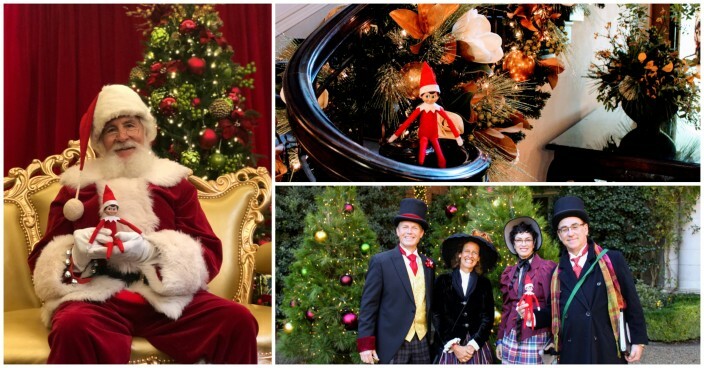 The Holidays at Filoli featured a story of Christmases from 1917 to 1975 with lush and beautiful holiday décor in every room. After touring the mansion, he then visited the gorgeous garden, which featured special holiday touches during the day and elegant lighting in the evening. And to top it all off, Elf Mateo also got to see Santa there! With the day getting warmer, Elf Mateo decided to head over to the coastside in order to enjoy the nice weather. But on his way down Hwy 92, he noticed a large Christmas Tree Farm and decided to stop for a visit. There he met Tony and Stephanie Cozzolino, owners of the Cozzolino’s Christmas Trees farm located right next to Spanishtown. Mateo was so amazed by their beautiful trees that he promised to come back and buy one for himself. 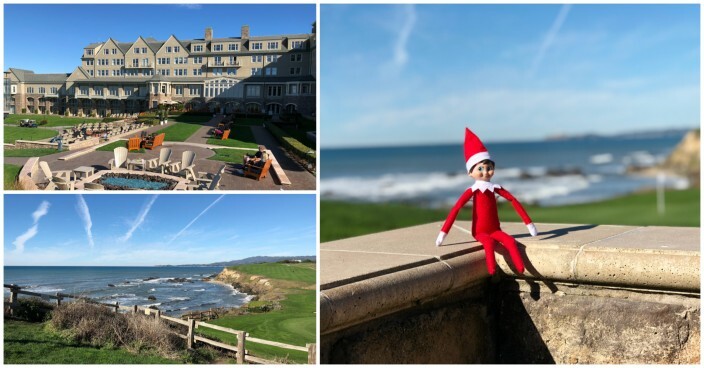 After saying his goodbyes to the Cozzolinos, Elf Mateo headed for The Ritz-Carlton, Half Moon Bay to take in the beauty of this amazing coastside property. He spent time out on the courtyard enjoying the sunshine and taking pictures. 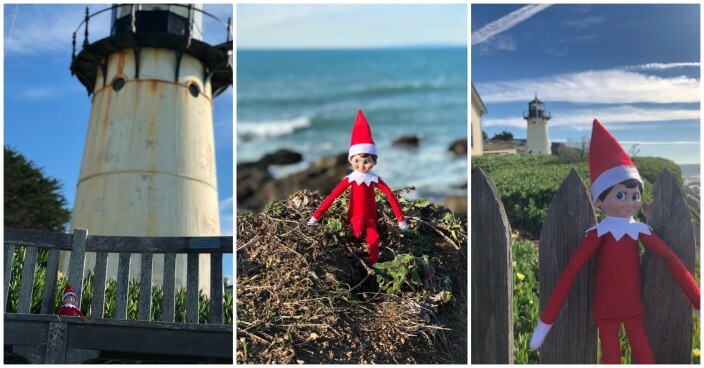 Next, Elf Mateo continued his trip along the coast with a stop at the Point Montara Lighthouse. He took advantage of the good lighting and got some nice “elfie selfies” in front of the lighthouse. Hungry and exhausted, Elf Mateo headed to Pacifica to grab something to eat. 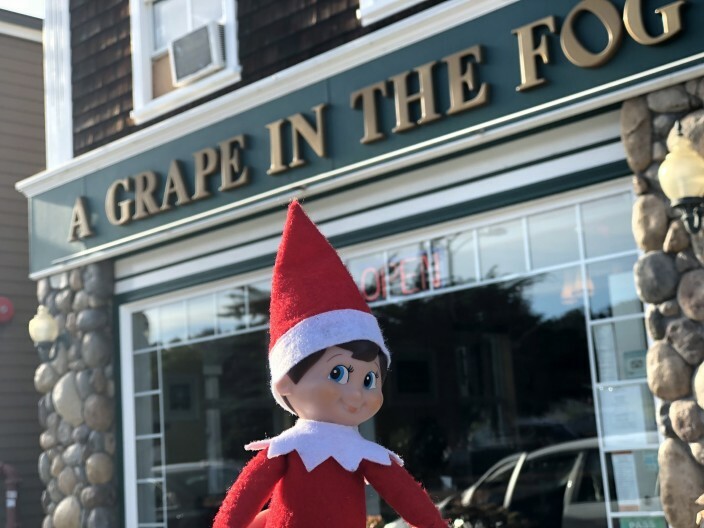 His final stop was A Grape in the Fog, where he enjoyed some delicious Argentinian empanadas and a well-deserved glass of wine before heading back to work at the North Pole. 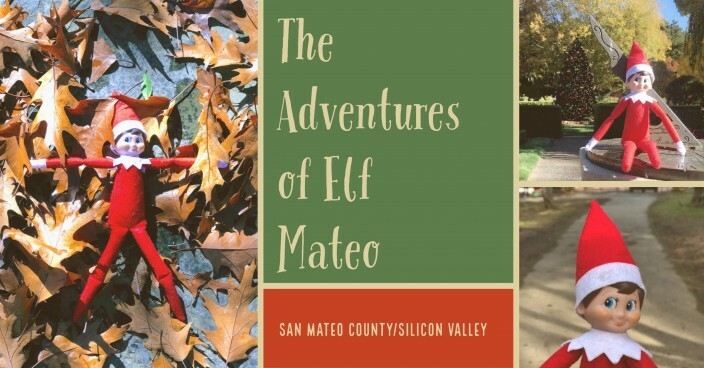 We hope you enjoyed reading about Elf Mateo’s adventures in San Mateo County/Silicon Valley, and we also hope he inspired you to go out and visit some of these great places!